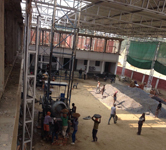 The April 2015 Nepal Earthquake destroyed the D.S.E.T. 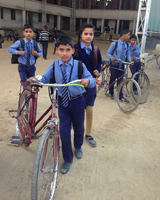 Public School in a remote area near Ballia, India not far from the border of Nepal. This school was founded in 2012 by Dr. Vijay Tiwari, who is a member of the Rotary Club of Fremont, Union City, Newark. The Rotary Clubs in southern Alameda County have pooled their resources to help rebuild the school. The purpose of the D.S.E.T. Public School is to educate about 500 young students, especially girls, so they can find a path to rise out of their impoverished conditions. Nearly all of the classrooms were reduced to rubble and the children are now attending classes outdoors, sometimes in a harsh environment. Without a new, more structurally sound building, this school would have had to close. 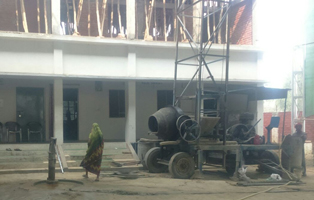 Thanks in part to our help, reconstruction is well on its way and the children are looking forward to once again having a place to learn.